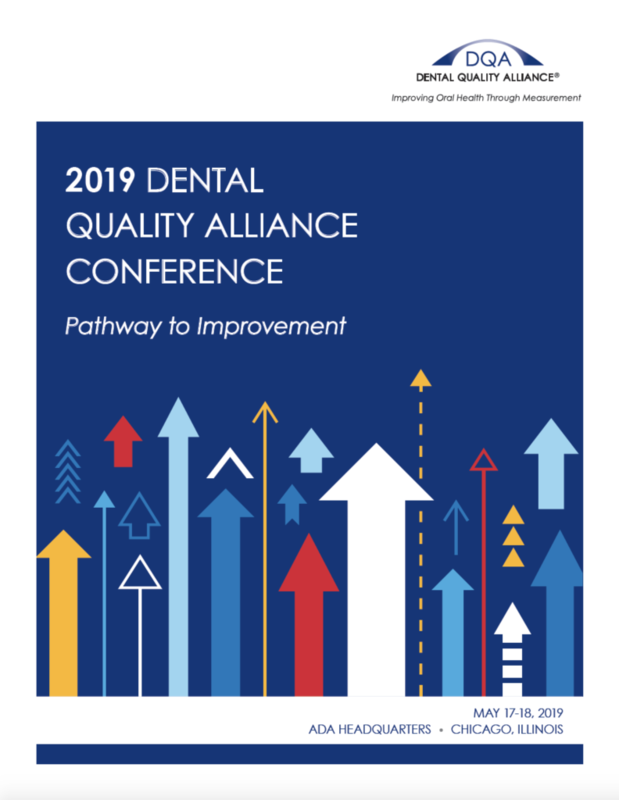 The 2019 Dental Quality Alliance Conference, “Pathway to Improvement”, will take place May 17-18 at the ADA Headquarters in Chicago. This Conference is designed to strengthen in-depth understanding of the quality measurement infrastructure within dentistry by canvassing on concrete opportunities for system-wide improvement. Those who attend both days can earn 10 CE credits (5 each day). Panel: Systems Improvement: Moderator: James Crall, Division of Public Health and Community Dentistry, UCLA, Peter Damiano, Patient-Center Dental Home (PCDH) & Andrea Palmer, Division of Maternal, Child, and Family Health Services, Illinois Department of Health. Presentation: Designing a QI Roadmap. Workshop: Change Packages for Improving Oral Health: A Hands-On Session to Improve Quality of Care: Jill Herndon, Key Analytics and Consulting & Marissa Sanders, DQA. Panel discussion: Tools for Improvement: Colleen Lampron, NNOHA Collaborative & Amit Acharya, Marshfield Clinic. Presentation: Fostering a Culture for Change. Presentation: Leadership for Systems Improvement: David Krol, Rutgers New Jersey Institute for Food, Nutrition and Health, New Jersey Healthy Kids. Presentation: Patient Centered State of Measurement: Stacie Myers, International Consortium for Health Outcomes Measurement (ICHOM). For more information and to register, visit 2019 DQA Conference. Great post! This meeting which is being held among dentists will surely lead a really good way to quality dentistry. Dentist can also learn their new ideas they can apply to help their patients and type of equipment they can use and technology of others will also help to get updated. Thanks for sharing!